Partisan differences over how best to reshape the U.S. healthcare system threaten to overshadow the Obama administration's televised reform summit Thursday, with Republican lawmakers calling for a legislative do-over and Senate Democrats eyeing a way to pass a bill on a simple majority vote. 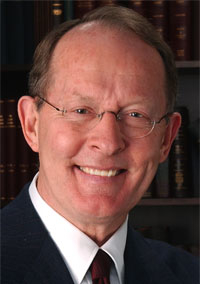 “I don't see any way to fix the comprehensive bill,” said Sen. Lamar Alexander of Tennessee, Republican conference chairman. Democrats, once leery of using a legislative maneuver known as reconciliation, have in recent days warmed to the idea. The process would allow a bill to pass the Senate with only 50 votes rather than the 60 that is needed to overcome a filibuster. Republicans, however, have said that they wanted that move stricken from the reform talks. “It seems to me, at least, that until the Democratic leaders take reconciliation off the table, it will be very hard for Republicans to believe that they intend to engage us in good faith,” Sen. Jon Kyl of Arizona, a member of the Republican's leadership team, said. But Democrats also continued to rebuff a call to start from scratch on reform. “If you expect me to start all over on this, then there's not much point in all of this,” said Sen. Christopher Dodd (D-Conn.), who steered the Senate health committee's reform bill. On Wednesday, Democrats who will attend the summit held a meeting to discuss their strategy and assign specific reform topics. On the agenda, lawmakers say, are presentations on health insurance reform, cost containment and debt and deficit.